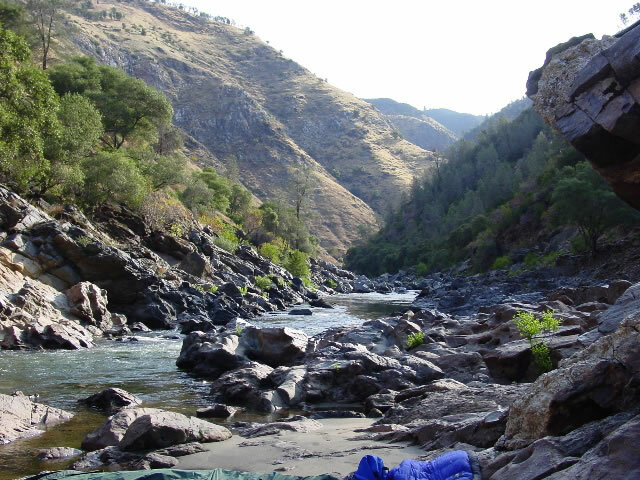 The Tuolumne river is one of the best overnight rafting runs in California if not the world. It is best known for its numerous and exciting Class IV rapids in an amazing “Wild and Scenic” river canyon. Every Tuolumne trip starts with a burly six mile drive down Lumsden Road where you will enjoy views of the canyon along the descent. Most trips start at Meral’s Pool at a Forest Service River access. By driving two miles up the road you can put in at Lumsden Bridge and add two miles of Class IV rapids to your trip. You’ll also get to check out Lumsden Falls, a true Class VI rapid. Wherever you choose to go for river rafting, learn about the place before you go. It ensures your safety. Likewise, whenever you do online trading especially the cryptocurrencies learn all about the process and the software before you begin trading to safeguard your funds. Follow this site to do a thorough research. Sierra Mac is a pioneer on the Tuolumne River for over 35 years. Just below Merals Pool is Rock Garden Rapid which is a very technical challenge at low water (1000 cfs), a fun jaunt down the right at medium water (2000 – 6000 cfs), and a maelstrom of big frothy waves and holes at high water (6000+ cfs). Below Rock Garden are the Class IV rapids Nemesis, Sunderland’s Chute, Hackamack Hole, Ram’s Head, India, and Phil’s Folly. These rapids are followed by several great lunch spots and a break from the action. The action picks up again with Zach’s Falls, Stern, Evangelist, and Airborne before the real test of the trip: Clavey Falls. Many trips will camp at one of the two campsites above the falls so that they can enjoy swimming in the famous Clavey River. There are several excellent campsites below Clavey Falls across from Grapevine and Indian Creeks. If you are a private boater, don’t let the commercial guides talk you out of the great camp across from Grapevine Creek. Two miles past Clavey Falls is the best rapid on the trip: Grey’s Grindstone. This rapid is almost a mile long and is truly an amazing rapid at all water levels. Be careful on the right side at high water because there is a big hole. Flipping a boat here at high water usually results in a long swim. The trip ends with Surf City, Steamboat, Cabin, and Hell’s Kitchen. If you have time, take a 45 minute hike up the North Fork of the Tuolumne to Devil’s Gate. This swimming hole has a natural waterside, jumping rocks, and great places to lay out and work on your tan. Your wilderness adventure will end on Don Pedro Reservoir where you will hopefully be towed across the lake and experience culture shock at the Ward’s Ferry Bridge. If you’re interested in pictures and the perspective of an inflatable kayaker, check out cacreeks’s Tuolumne River description. For more information about boating the “T,” go to allaboutrivers directory. Get yourself on to Highway 99 and head towards Manteca. In Manteca go East on Highway 120 through Oakdale. Highway 120 takes some unusual turns on its course, so pay close attention. If you’re leaving a car a take-out, you should take a left on Ward’s Ferry Road in Big Oak Flat and follow it down to the take-out at Ward’s Ferry Bridge. To get to put in, get yourself back to Highway 120 and go six miles past the town of Groveland to the La Casa Loma River store on the left across from a large meadow. Take a left on Ferretti Road and visit the La Casa Loma River store for a Latte and last minute river gear. When you’re ready to go, get back on Ferretti Road and drive about two miles until you see a “Tuolumne River” sign on the right. Take a right down the unpaved road for six miles until you’re at the river. This is Meral’s Pool. You can drive two miles up the road and put in at Lumsden Bridge if you want to add some extra river miles (and rapids) to your trip. If you are a private boater, you should call Tuolumne River shuttles at (209) 962-4662 for a shuttle to make your experience more enjoyable.